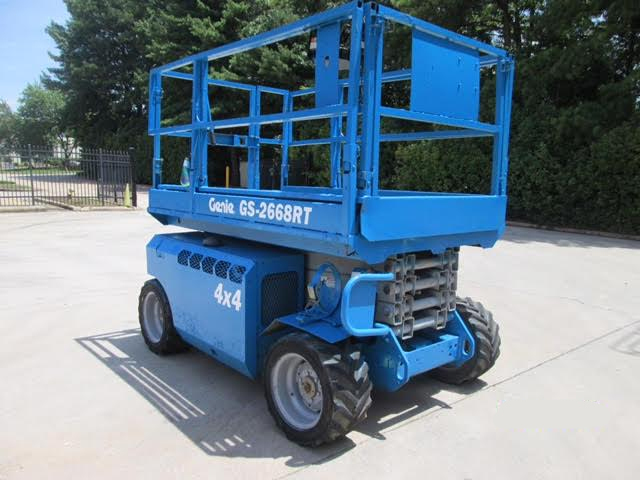 Extra large working space, heavy lifting capacity, and the ability to work on uneven terrain and in mud; makes a rough terrain scissor lift a necessity in certain work conditions. Optional roll-out extension deck that allows you to reach out over obstacles below. Solid steel work platform. 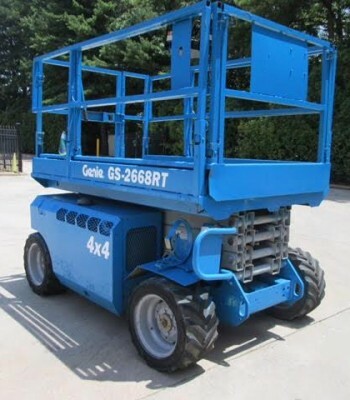 Tim B. from Memphis, TN bought a Genie GS2668RT said “Excellent price and arrived in like new condition”.